RWBro. Sir David Trippier, RD, JP, DL Provincial Grand Master, Installed as Worshipful Master of Keystone Lodge No 363. 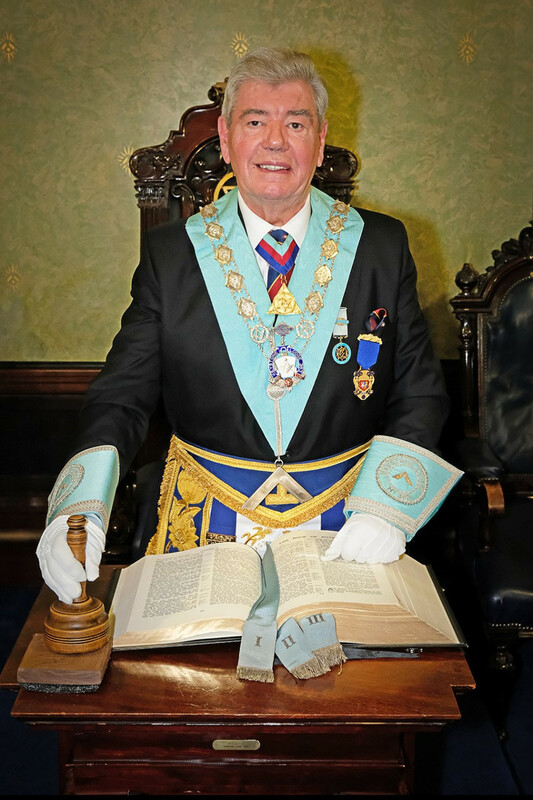 RWBro Sir David Trippier, RD, JP, DL the Provincial Grand Master of East Lancashire was installed as the new Worshipful Master of Keystone Lodge No. 363 at its installation meeting held on 17th January 2019. A first-class ceremony ensued to install the Master Elect Sir David into the chair of King Solomon. The presentation of the working tools was delivered by, WBro. Nick Clough, Bro. Peter Purcell and Bro. Todd Hayes. WBro. Stuart Clough gave the address to the Master and WBro. David Ogden delivered the address to the Wardens. The final address to the Brethren was given in fine style by the PGM himself. The IPM was happy to present the WM with a cheque for a £1000.00 from the members of the Lodge, and on behalf of the Ladies a further £285 was given to ELMC. On closing the meeting, the members and guests all gathered for a photo shoot to record this special event. As is usual the Social Board was a great success, the usual Toasts and some fine responses were made. WM Sir David Trippier had thoroughly enjoyed the occasion and he commented that, it was one that he would remember for many years to come. He thanked all who had contributed to making the evening so special for him.